After 23.1 overs, New Zealand 79 all out ( Trent Boult 1); India win by 190 runs! That's it! Axar walks in, and gets the last wicket, with Santner unable to tackle the low bounce, as India complete an emphatic 190-run victory! New Zealand have been bundled out for a paltry 79, which was exactly the score that India were bowled out for in the lost WT20 match earlier this year! India win the series 3-2! OUT! Tossed up from Mishra, SOdhi tries to heave away towards midwicket. Ends up top-edging it behind the keeper, where Rahane takes a simple catch! And that's Mishra's fifth wicket! Gets three slips for Trent Boult, the last man in. BOWLED EM! Mishra with another ripper of a delivery! The Indian spinners are wreaking havoc on the Black Caps right now! Crashes through a clueless Neesham's defence to rattle his stumps, with the latter beaten by flight and drift! OUT! Mishra gets his fourth wicket! Southee looks to drive through the covers, is beaten by extra-turn, and gets his backfoot out of the crease. 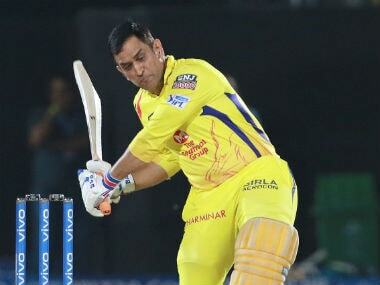 All Dhoni needs is a fraction of a second to whip the bails off! When MSD is confident, you know for a fact that that means the end for the batsman! DROPPED! Rahane fails to grab a reaction catch in the slips, denying Jayant what would have been his maiden ODI wicket. Jayant however, achieves the milestone later in the over by trapping Anderson plumb lbw for a seven-ball duck. OUT! The Black Caps have lost two quick wickets now! Taylor, who was looking to go for a late cut towards third-man, getting caught behind to bring the curtains down on what truly was a horror tour for him. Too many wickets lost for the Black Caps already. BOWLED EM! Two wickets in this over for Mishra, and suddenly the spinners are starting to wreak havoc for the Black Caps! Googly from Mishy goes straight through Watling's defence, who anticipates a leg-break and prods his bat forward! And its drinks at the centre now. OUT! Axar strikes! Lures Williamson into going for a lofted drive towards deep extra-cover, which the New Zealand skipper executes quite well. Just that Kedar Jadhav runs to his left, and completes a well-judged catch! OUT! Bumrah strikes in the last ball of his third over, and manages to remove an increasingly dangerous-looking Tom Latham. Heading down the leg-side, the ball stopped on Latham, who gets a top-edge to mid-on, where Jayant Yadav takes the catch. Latham's successful tour of India comes to a disappointing end! We're back with the action after the innings break. Umesh starts the proceedings off for the hosts! BOWLED EM! Umesh rattles Guptill's off-stump with a late outswinger, and for the second time in the series manages to rattle his off-stump! India strike early, as Guptill signs out of the Indian tour with a four-ball duck! Boult bowls the final over. Axar hammers the first ball down towards long-on, getting a single. SIX! Jadhav times the next one to perfection, coming down the track and clearing the long-on boundary! Tries a similar shot in the next one, but inside-edges it down towards mid-on to canter off for a single. BOWLED! 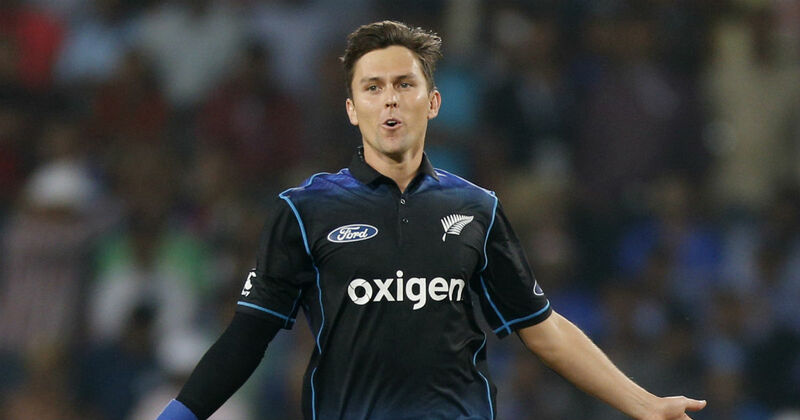 Boult deceives Axar with a brilliant delivery — a slower one that is pitched on full length. Axar plays this one on to his leg-stump while looking to guide it down to third man. Valuable innings nevertheless. Debutant Jayant Yadav gets off the mark in the first delivery of his international career. Jadhav sends the final ball towards long-on while looking for another big hit, getting a quick double nevertheless. 11 runs off the over, and India set a 270-run target for the Black Caps. OUT! Kohli will be livid with that shot, throwing his wicket away at a time when the hosts needed him to stick to the crease all the way till the end of the innings. Looking to attack the spinners, Kohli got to the pitch of the ball, but did not execute the shot properly. Guptill takes a safe catch near the wide long-off boundary. OUT! India starting to lose quick wickets now. Pandey looks to clear the midwicket boundary, but doesn't get enough power on the shot. Boult takes an easy catch near the boundary. Pandey disappoints yet again. India lose their third wicket after Dhoni is trapped plumb lbw by Santner while looking to go for the sweep. Tossed up and pitching between middle and off, the ball moves away from the batsman with decent bounce, and would've gone on to hit the off-stump. Dhoni falls nine short of a half-century. FIFTY FOR VIRAT KOHLI! The man does it again, both in this series as well as at Vizag! His 38th ODI fifty, and he gets 62 deliveries. FIFTY partnership up between Dhoni and Kohli for the third wicket! This is turning out to be another vital stand for the hosts, although there were a couple of dropped chances along the way. The Indian skipper brings up the milestone with a pull towards backward square-leg. 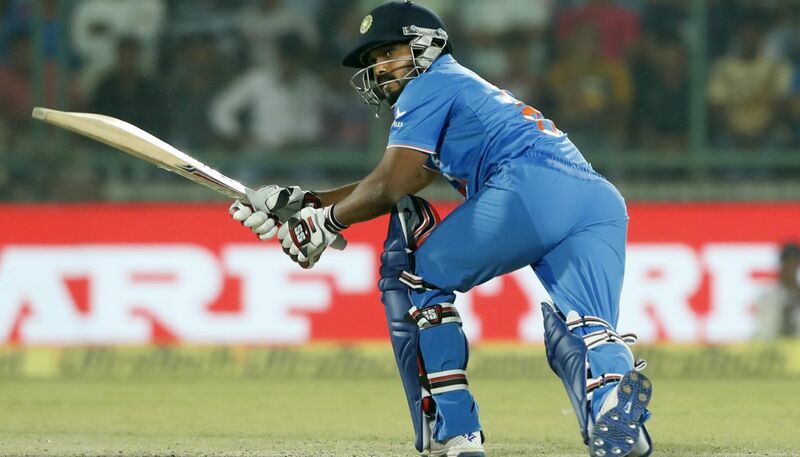 Rohit miscues the fifth ball of the over towards deep midwicket, where the ball lands just short of Neesham. The next delivery sees a replay of the previous, with Rohit getting a top-edge off another pull. This time, Neesham collects the ball near the rope. 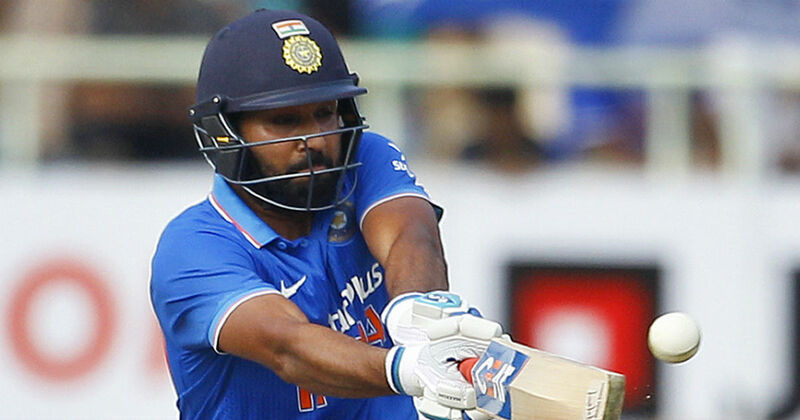 India lose their second wicket with 119 on board, as Rohit departs 30 short of his 11th century. FIFTY FOR ROHIT SHARMA! His 29th ODI fifty, and he gets there in 49 deliveries, going for a cut in the third ball of the over! OUT! Neesham strikes once again, and Rahane disappoints yet again after getting off to a good start! Chips it straight to short midwicket, where Latham holds on to the catch. Departs for a 39-ball 20. Big cheer for Kohli once he walks out to bat, getting off the mark in his second delivery. Rohit ends the powerplay with a slice over backward point. That's it from us at Firstpost Sports, as the curtains fall on New Zealand's tour of India. We hope that you enjoyed our coverage of the tour. Now that the Indians have won so convincingly, we hope that you go ahead and have a wonderful Diwali! However, do not forget to return to our site on 9 November, when India and England finally lock horns in the first Test at Rajkot. Till then, goodbye! MS Dhoni: One of the best performances by the bowlers. This was one game where the spinners bowled with a lot of assistance. They bowled well throughout the series, but this game was exception. There was a bit of dew, but what was important was the pace at which they bowl. The beauty is that he (Mishra) bowls slow. It was beautiful the way he controls his flight, and operates with Axar. Virat was superb to start off. We got off to a good start. Once he (Rohit) got out, he gave us some kind of momentum. What's important was to respect the conditions. Considering the dew factor, one has to get extra runs on the board. Im quite glad we were able to rest some of the key players. Specially the batters lower down the order got a chance. There is a plenty they would have learnt out of this series. It was time to focus on the youngsters for them to turn into a complete product. In the international arena, there are times when you fail, and start respecting cricket a little more. Kane Williamson: Was a lot above par. India were outstanding, and certainly deserve the series win. Whether you win or lose, you certainly expect to put out a tough performance. Today we were terrible. To lose 8 for 20 on any surface is unacceptable. I suppose when you play one of the best sides in the world in such conditions, there are is a lot to learn. A lot of positives. Test series was extremely tough. Guys showed a lot of heart on tricky surfaces in the ODIs, coming off heavy defeats. Number of individuals as well, who got a lot out of the exposure on these surfaces, such as Tom Latham and Mitchell Santner. Amit Mishra: Great deal for the Indian team. My team supported me well. Was a bit tense initially, before MS calmed me down. The wicket had some bounce and spin, and the ball was stopping a bit. Anil Bhai told me before the match to focus on the flighted delivery. Axar has always been bowling well, and he has been helping in getting breakthroughs. Hope it continues that way. Im happy the way Im bowling. All credit to coaches and my team-mates. Amit Mishra wins the 'Man of the Match' as well as the 'Man of the Series' awards for this series! 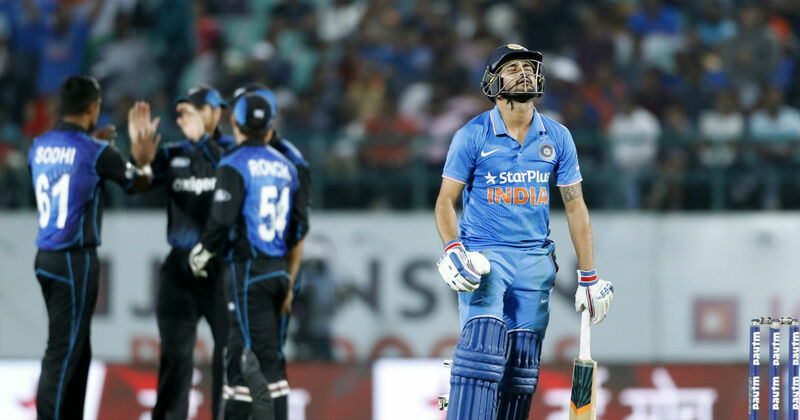 New Zealand's tour of India, in which they were beginning to produce a valiant fightback in the ODI series, have been given a cruel send-off back home! 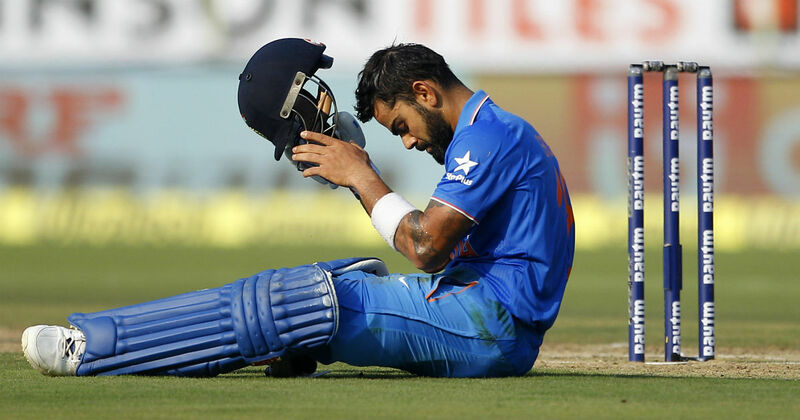 The Indians, for once, did not just have to rely on Virat Kohli alone to guide them to a win. 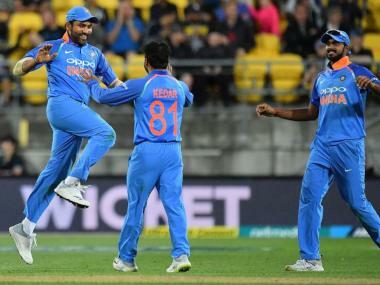 Not only did Rohit Sharma find form for the first time in the ODI series, and the lower-order duo of Jadhav-Axar guide India to 270, but the spinners rallied together to run through the New Zealand middle and lower-order! India finally win their first bilateral series against a side other than Zimbabwe since November 2014. Think @MishiAmit might well have said to @anilkumble1074 when he waved to him "Anil bhai, test match?" Jayant Yadav: Obviously its a very proud moment to represent your country in any sport. My mom Lakshmi she's no more. To my mom Jyoti sitting at home, sorry about the mix-up (Referring to only one name being printed on the shirt). Don't know what happened. Wicket was gripping. Initially was a bit nervous. Rohit Sharma: Good to get some runs. It was important. One of the top batters to bat as long as possible the wicket was not playing so well. It was important to get a partnership. In the end, we were glad to get to 270, wjhich I thought was a good score. We played some IPL games here, and I spoke to myself of how to bat on this wicket, as this is not the typical Vizag wicket. It was important to get a decent partnership, which me and Virat got, and in the end Kedar and Axar got it. I did not play more than 20 balls in the first four games. I adjusted according to the conditions, and played accordingly. Hats off to Mishra, he has been playing well in this series. Jayant bowls his third over, with each delivery appearing to be a potential wicket. Just two wickets left for the hosts to complete a series win, and for all we know, Mishra could end the game in the very next over. Mishra keeps Anderson on the backfoot throughout, starting with a big appeal for lbw. Anderson struggles to pick the turn, especially the googlies. Mishra concedes five wides in the final delivery, with the ball running down the leg side. Debutant Jayant Yadav is handed the ball for the 17th over. Gives away just a couple of runs off it, with Neesham getting off the mark in the process. The Black Caps face a massive defeat, unless the all-rounder duo produce something magical here! Five singles off the over, with Williamson and Taylor starting to build a steady partnership right now. One that is starting to bother Dhoni. Williamson carves out a cut off the fourth ball of Axar's third over. Managed to cut that with precision despite getting cramped for room. Amit Mishra into the attack now, with spin being deployed from both ends now. Fifty up for th Black Caps in this over, and it has been a hard-fought one for them. Axar into his 2nd over. Plenty of turn on offer for Axar. Tidy over for the hosts, with just a single coming off it. Meanwhile, Williamson and Taylor will have to improve the communication between them, with two mix-ups already occuring between them in the innings so far. Taylor cuts the third ball of the over through cover point in a powerful stroke. Another mix-up between Taylor and Williamson in the fifth ball, with the latter surviving for a second time so far. End of powerplay. New Zealand at par with India's progress at this stage. Axar introduced into the attack, with spin being introduced in the ninth over. Brilliant piece of fielding by Kohli at mid-off, diving forward not only to save a couple of runs for India, but nearly effecting a run-out of Williamson at the non-striker's end with an acrobatic pick-and-throw. Had that hit the timber, Williamson would have been out by a mile. Tight over by Bumrah, giving away just one run off it. Williamson and Taylor find themselves in a bit of a pickle right now, and will have to bat sensibly for some time now. The crowd has really found its volume right now, with both the openers heading back to the pavilion for low scores, and the hosts displaying athletic fielding. FOUR! Williamson eases some pressure off his back with an elegant cover drive! Cuts the next delivery, a pitched up delivery, through cover point! Nine off the over. Umesh starts off by sending a short one down Latham's leg-side, which the southpaw glances down towards fine-leg, with the fielder failing to stop the boundary despite a valiant dive. Follows it up a couple of deliveries later with a solid punch though extra-cover! What a shot! Umesh unsuccessfully appeals for an lbw in the last ball of the over. Another good over for the Black Caps, with two boundaries coming off it. Williamson finally unleashes a backfoot punch in the penultimate ball over the ball, sending the ball scurrying through extra-cover. Exuded class in that shot! Latham punches the third ball between midwicket and mid-on. FOUR! Latham ends the over with a flick towards backward square-leg. Good over for the Black Caps, with eight coming off it. Bumrah into the attack, having recovered in time for this match after having missed out in the previous game. Superb piece of fielding by substitute Mandeep Singh in the second ball of the over. Latham flicks the fourth ball, which stops on him, over the square-leg fielder's head. Four off the over, with the Indians starting off on an electric note. Kedar Jadhav: I guess its always an instinctive game I play. There was no pace in the wicket. So we needed to reconsider our target. We initially were targetting 290-300, but once the ball started turning, we revised it to 270. We have three quality spinners, and me also. When you prepare in the nets, I start playing my shots. In the match, I have to go from the first ball of the innings. Its a good total, we have to bowling to defend it, but we need to put up a good fight. Final over for Southee. He has bowled well in the death overs so far. Jadhav pulls hard, connecting to the slower one from Southee, though he only manages to get a single. Axar smacks the next one over the umpire's head, taking his time in getting underneath the off-cutter. 11 from the India. Can India get to 270 from here? Axar attempts to up the ante with a slog down towards long-off, but the miscued shot lands near the long-on fielder, giving him a couple of runs. Six off the over. India close in the 250-run mark with two overs left. Southee into his penultimate over. Jadhav pulls hard in the first ball, and would have got a boundary had it not been for a brilliant save by Guptill at deep square-leg. Southee bowls consecutive slow bouncers, which Jadhav fails to pick. Neesham to bowl his sixth over. Interesting variation in his deliveries, bowling a slow bouncer to beat Jadhav's attempted scoop. Five runs off the over, with the two at the crease struggling to get quick runs on the board right now. Anderson back into the attack. With Kohli's dismissal, the lower inexperienced middle-order has been exposed once again. It will be another test of their temperament today. Axar glances the last ball of the over down towards fine-leg boundary. Kohli slaps the second ball of the over, coming down the track to a short delivery, executing an awkward pull towards mid-on for a single. Jadhav smashes the next ball down the ground past mid-off for his second boundary. Eight off the over. Santner into his final over. He has been the most economical in the Black Caps attack today, and will look to sign out that way. Jadhav brings up his first boundary of the innings with a cut towards backward point in the third ball. Eight off the over. Southee returns to the attack. Kohli takes a quick single to bring up the 200 up for India. Super running between the wickets to squeeze out a quick double a couple of deliveries later. Slower balls are the way to go for New Zealand at the death. India don't need to overshoot on a slowing pitch. 270+ will be a tough chase. Jadhav walks out to bat, with Santner bowling his penultimate over. India suddenly find themselves in a bit of situation here, where they need quick runs right now if they are to reach striking distance of 300. With the One-Day International (ODI) cricket series between India and New Zealand squared at 2-2, skipper Mahendra Singh Dhoni will be looking for a resounding victory to clinch the series in the fifth and final game here on Saturday. Going into the crucial summit clash at ACA-VDCA cricket stadium, the home side holds the advantage against the Kiwis as it has a much more experienced pool of cricketers. At the start of the series, India were to play a total of eight ODIs -- five against New Zealand and three against England -- so the Indian squad will also look to get their combination right before the Champions Trophy next year. But the Indian plans could fail to fructify if rain -- forecast for the next four days -- plays spoil-sport. The weather office has forecast light to moderate rainfall at many places over coastal Andhra Pradesh during the period October 28 to 31. The main concern for Dhoni, meanwhile, is the inconsistent batting, as his batsmen have not fired on all cylinders so far. 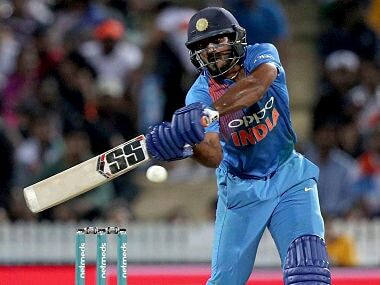 Apart from Virat Kohli (293 runs in four matches) and to some extent Ajinkya Rahane (113 runs), no other batsmen performed under the demanding situations. Dhoni will also hope that Manish Pandey and Kedar Jadhav will make the opportunity count after floundering in the previous matches. India also have a relatively inexperienced pace bowling attack but the bowlers have exceeded expectations and the Anil Kumble-coached team will have high hopes again from seasoned leg-spinner Amit Mishra. The Haryana bowler has been in fine form, taking 10 wickets in four matches, and with off-spinner Kedar, they have managed to control the run flow. 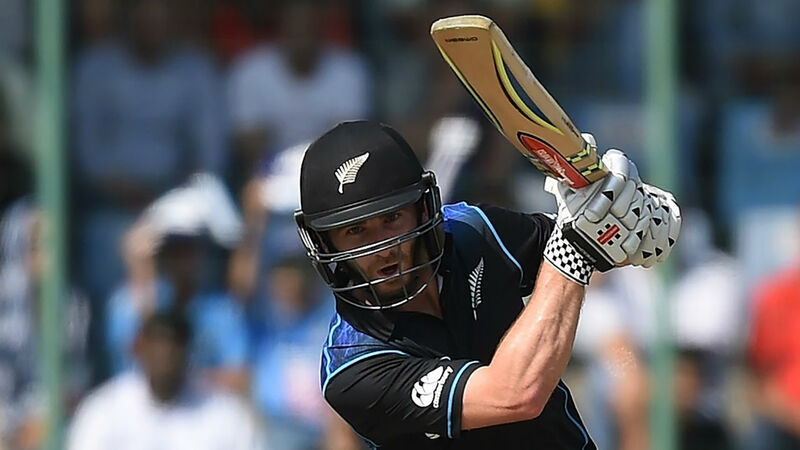 On the other hand, after sweeping India in the Second and Fourth ODI, New Zealand appear to be in fine fettle inspired by stellar performances by skipper Kane Williamson and opener Martin Guptill -- the latter scored his only second fifty on this tour in the fourth ODI in Ranchi. After a disappointing tour so far, the visitors are now looking desperate for success in at least one leg of the tour. On a neutral wicket, the Kiwi bowlers who have impressed so far with their disciplined bowling will be looking to extract some turn. New Zealand opener Tom Latham has also said that the Visakhapatnam wicket is devoid of grass, which means it might offer turn. New Zealand will also bank on their experience and the momentum which they got after winning two ODIs. They can still clinch this series if their middle-order, including veteran batsman Ross Taylor, clicks in the crucial summit clash. The visiting team will rely on pacers Trent Boult and Tim Southee and offie Mitchell Santner to keep check on the home batsmen. India: Mahendra Singh Dhoni (captain and wicket-keeper), Virat Kohli, Rohit Sharma, Ajinkya Rahane, Manish Pandey, Mandeep Singh, Kedar Jadhav, Axar Patel, Amit Mishra, Hardik Pandya, Dhawal Kulkarni, Jayant Yadav, Umesh Yadav, Jasprit Bumrah. New Zealand: Kane Williamson (Captain), Ross Taylor, Tom Latham, Luke Ronchi (wk), Corey Anderson, Tim Southee, Martin Guptill, B.J. Watling (wicket-keeper), Matt Henry, Ish Sodhi, Mitchell Santner, James Neesham, Anton Devcich, Trent Boult, Doug Bracewell.